Common pin tumbler locks can easily be picked open. Medeco has a patented and UL-listed design which makes security compromise virtually impossible. Drilling an ordinary lock open is an every day occurrence. Medeco locks have hardened steel inserts strategically placed within the lock to safeguard against physical attack. 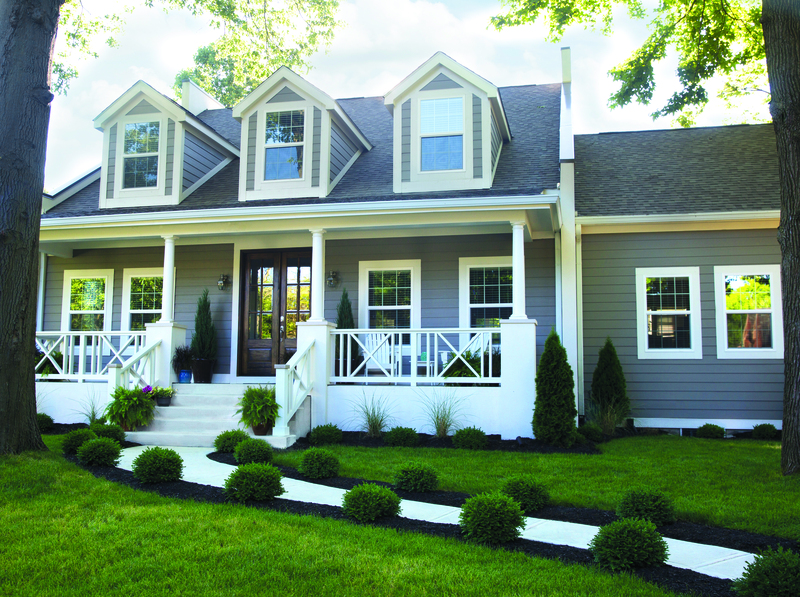 Key control is perhaps the most important aspect of a security system. Ordinary keys can be duplicated at discount stores and hardware stores anywhere. 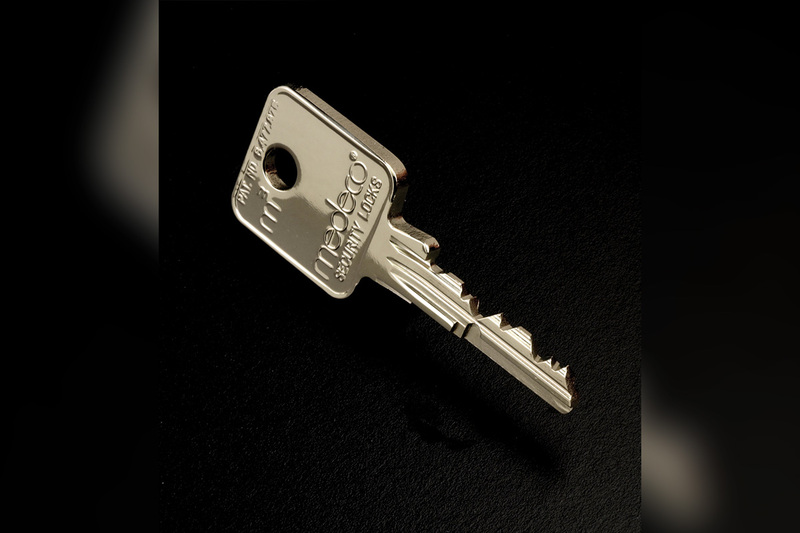 Our Medeco keys are regionally assigned to us, therefore, can only be duplicated by us, with your written authorization. This means YOU CONTROL who has your keys. Is it ok with you if a key for you property is made without your knowledge? Did you know that a key stamped with “Do Not Duplicate” CAN still be duplicated? Take a second to think about everyone who has ever borrowed or handled your key. Unless you have a restricted type key anyone with access to your key can obtain make a duplicate. There is no law protecting duplication unless the key is restricted. A restricted key and or high security system allows for patent protected key control. Patented keys are only available to a locksmith under legal contract from the original manufacturer and duplicates only to predetermined authorized users of the system. This means the keys are not available at home centers, hardware stores or in most cases even from other locksmiths. Positive identification is required to obtain additional keys. In addition to true key restriction, high security lock systems are drill resistant and offer a high degree of pick and bump resistance. One of the best ways to make your locks bump resistant is to utilize restricted keyway locks. Visit our store to learn more about these impressive systems. Let DuPage Security Solutions, Inc. install and service your Restricted or High Security System. We proudly sell and install Medeco, Schlage Primus and Marks systems. Controlling who has a key to your building can be difficult and time-consuming, and invariably, mistakes are made and keys get lost by employees. Restricted keyways may be the answer for business owners who need to maintain control over keys to their properties and access to locks. Restricted keyways are keyways (the part of the key cylinder that the key is inserted into) and key blanks which have strict limitations on use and distribution. When a business chooses a restricted keyway system, a certain level of security is acquired. Key copies can only be made under very specific circumstances and only by certain companies. The restricted keyway is a good idea for business owners who don’t require complicated and expensive security systems, but rather simply need a way to control who can make copies of the keys. The restricted keyway makes it extremely difficult or impossible for employees to make unauthorized copies of keys. Business owners have peace of mind knowing that when an employee leaves and returns his/her key, the employee has not made extra copies for him/herself or others.